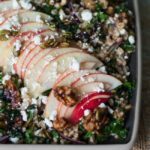 Make good use of those Thanksgiving leftovers by transforming them into a brand new dish! 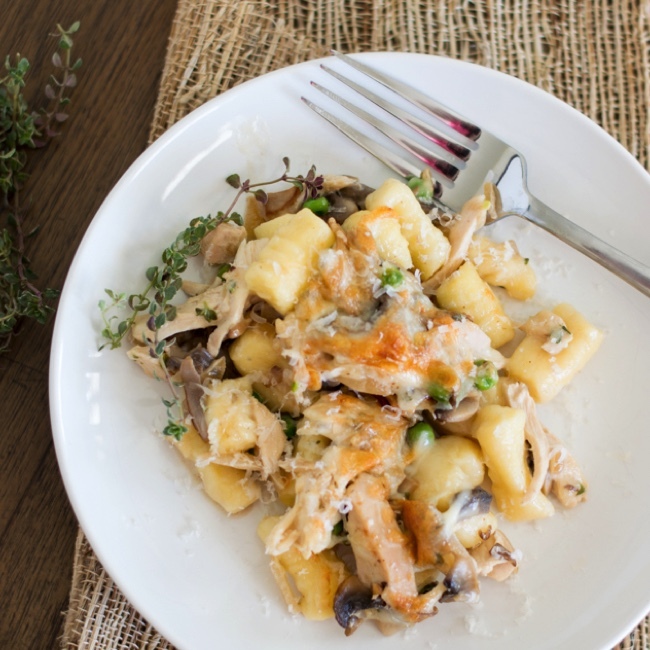 This turkey tetrazzini gnocchi uses both leftover turkey and mashed potatoes – homemade gnocchi has never been so easy! Happy Thanksgiving week! I can’t believe Thanksgiving is only a few days away. I know I say this all the time, but time just goes by so darn fast! Did you have a nice weekend? Kyle and I had quite a bit on our to-do list, but we chose to take a break from being adults and go to the beach. Yes, you read that right. We went to the beach. It was in the 70s here on Saturday, so obviously we had to enjoy the weather before it got cold. We had lunch, walked around on the beach for a bit, and then headed home. Nothing too crazy, but a perfect afternoon nonetheless! Let’s talk about the best part of Thanksgiving: the leftovers! I really love leftovers because I love creating completely new dishes. Not that there is anything wrong with a turkey sandwich, but I like to get creative with my leftovers. 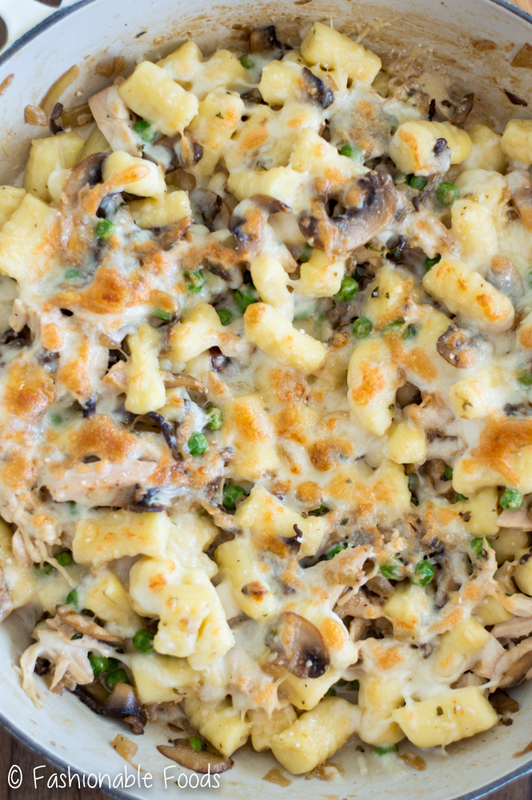 Enter turkey tetrazzini gnocchi! Have you ever made gnocchi before? 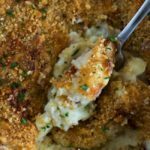 It’s really pretty easy, but when you use leftover mashed potatoes, it’s even easier! If you don’t have leftover mashed potatoes, or just want to make this super fast, you can certainly buy gnocchi. 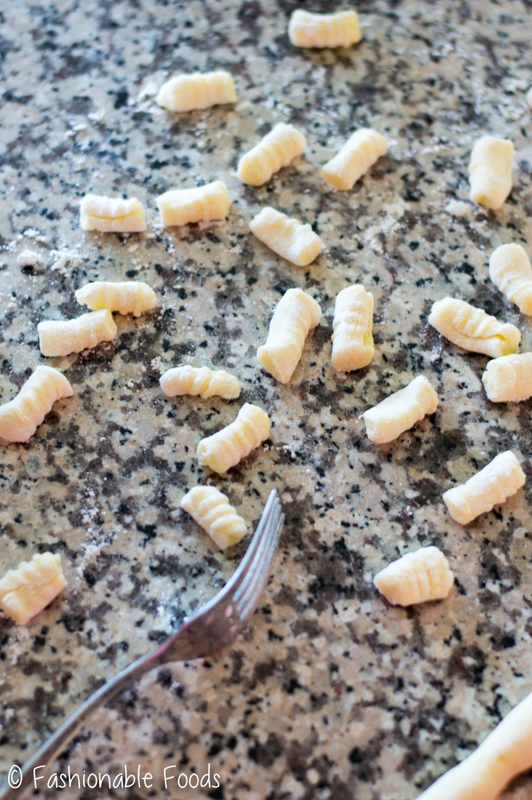 If you’ve never made gnocchi, don’t worry. The process is easier than making homemade pasta and once you get the hang of it, it goes pretty quickly. Salt and pepper! Be sure and season your gnocchi well, especially with salt. Even when you’re using mashed potatoes, which will already be seasoned, you still need to add salt. When you add in the flour, that can make things bland. I like adding black pepper right into the dough, but you don’t have to do that if you’re not feeling it. You may need more (or less) flour depending on how humid or dry the air is, as well as the moisture in your mashed potatoes. I used 1 ¼ cups of flour to get my dough to the right consistency. You want a soft, but not sticky dough. I roll the potato dumplings down the back of a fork to get the lines on them. This gives the gnocchi something for the sauce to adhere to. You don’t have to do this if you don’t want to, you can simply just make an indentation with your thumb. 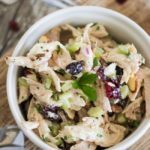 The sauce for turkey tetrazzini is also really simple. 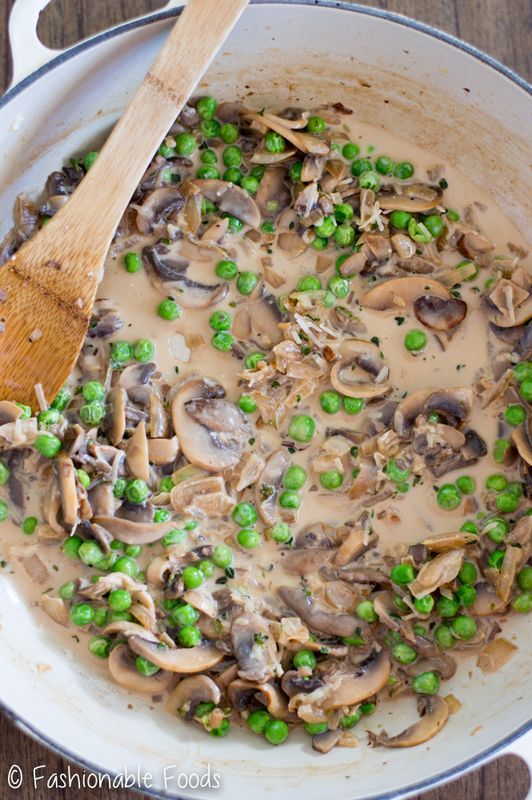 Sautéed mushrooms and onions, a little garlic, some white wine, heavy cream, and then finished off with some peas. I love adding peas because I think the sauce needs something bright and fresh, but you could also add broccoli, spinach, kale, or whatever your favorite green veggie is. Once you have your sauce, you’ll toss in some leftover turkey (or even chicken) and the cooked gnocchi. Top with cheese and pop it under the broiler so the top gets bubbly and golden brown. This may not be the prettiest looking dish, but I have to say, I couldn’t stop eating it! It’s eat right-outa-the-pan good! 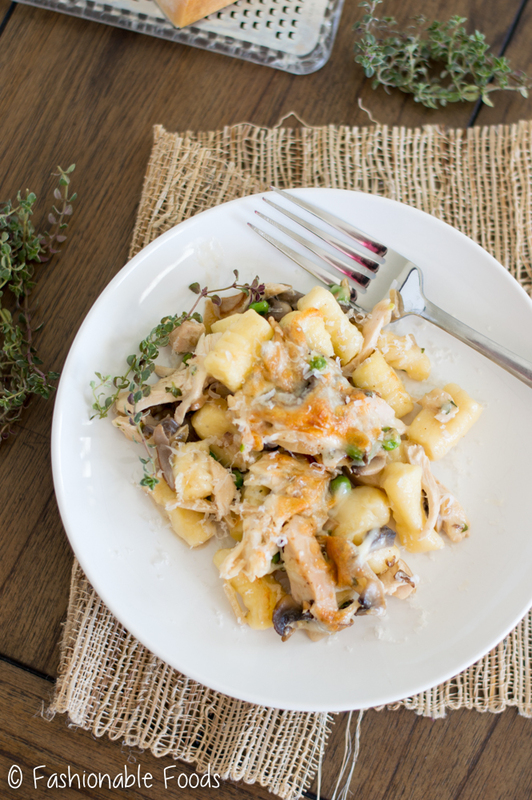 Trust me when I say, you’ll be hoarding all of your leftovers just so you can make this turkey tetrazzini gnocchi! ? Combine the mashed potatoes and egg in a large bowl. Season generously with salt and pepper and add in ½ cup of the flour. Mix to combine and sprinkle in more flour as needed. You may need the full cup, or less (or more) depending on the moisture content of your mashed potatoes. The dough should be soft, but not sticky. It shouldn’t be dry either. Once you have the dough together, cut it into quarters. Cut each quarter in half and roll each piece into ¾-inch round log. Cut each log in small pieces, about ¼ to ½ an inch long. Roll the dumplings down the back of a fork with your thumb, or just make an indentation with your thumb. Put the gnocchi on a baking sheet and set aside while you make the sauce. Melt the butter over medium heat and add in the onions and mushrooms. 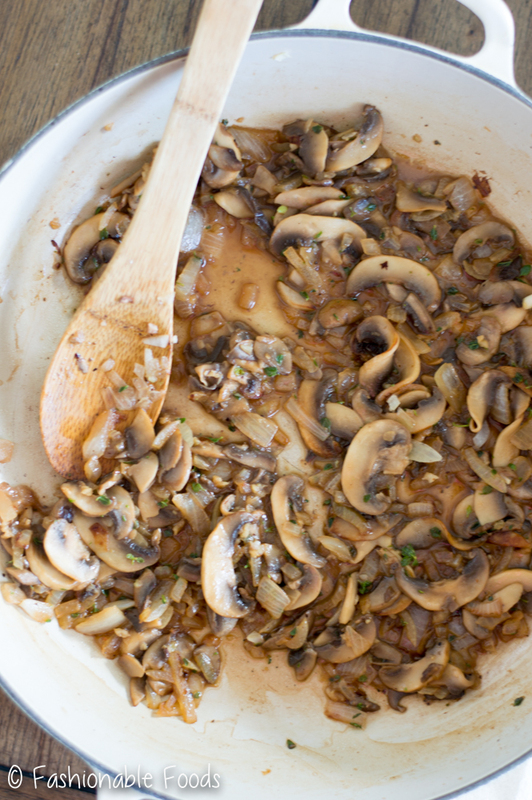 Sauté for 3-5 minutes, or until the mushrooms release their liquid and begin to brown. Stir in the garlic, thyme, and season with salt and pepper. Deglaze the pan with white wine and allow it to reduce by half. Stir in the cream, peas, leftover turkey, and parmesan cheese. Bring to a low simmer and cook for 1-2 minutes, or until the cream thickens slightly. To cook the gnocchi, bring a large pot of water to a boil. Season the water with salt and add in the gnocchi. Once the float to the top, they are ready. Drain and you’re ready to toss them with the sauce. Once you toss the gnocchi into the sauce, if it seems too thick, add in the ¼ cup of chicken stock. Top the turkey tetrazzini with the mozzarella cheese and dot it with the butter. Place the tetrazzini under the broiler for 1-2 minutes, or until the top is golden and bubbly. *I recommend choosing a gluten-free flour that already contains xanthan gum. If your blend doesn't, you can add 1 teaspoon of xanthan gum. *Use regular all-purpose flour if you don't need this to be gluten-free! Sounds like you had a fun weekend at the beach! The weather finally got cold here in the midwest…it was in the low 70s on Thursday, and by Saturday in the 30s. Brrrr! And I totally agree with you, Thanksgiving leftovers are the BEST! 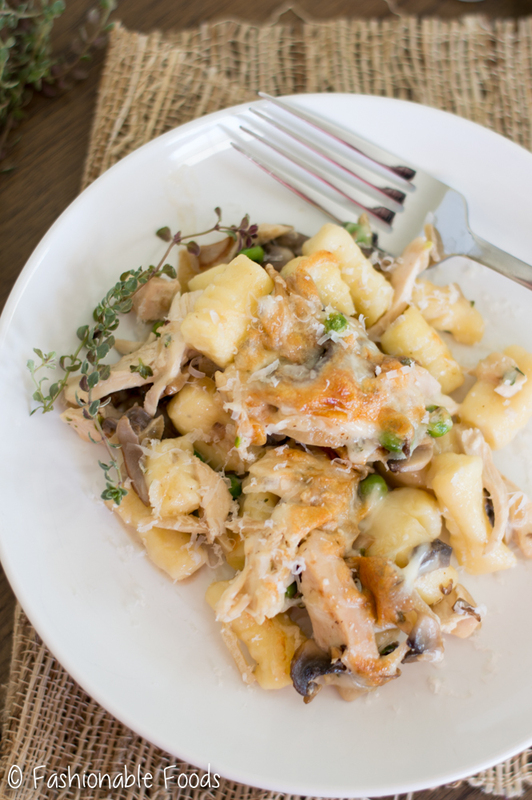 I love turkey tetrazzini, so this version with gnocchi is brilliant! 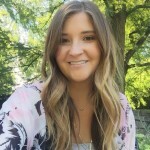 Looks perfect for the holidays, Keri! It got cold here on Sunday and now it’s quite blustery out – I miss the 70s! I think I look forward to holidays just for the leftovers! 😉 Thanks, Gayle!